Yesterday, our Year 5 and 6 pupils spent the morning at Worksop College to experience what life is like at senior school. 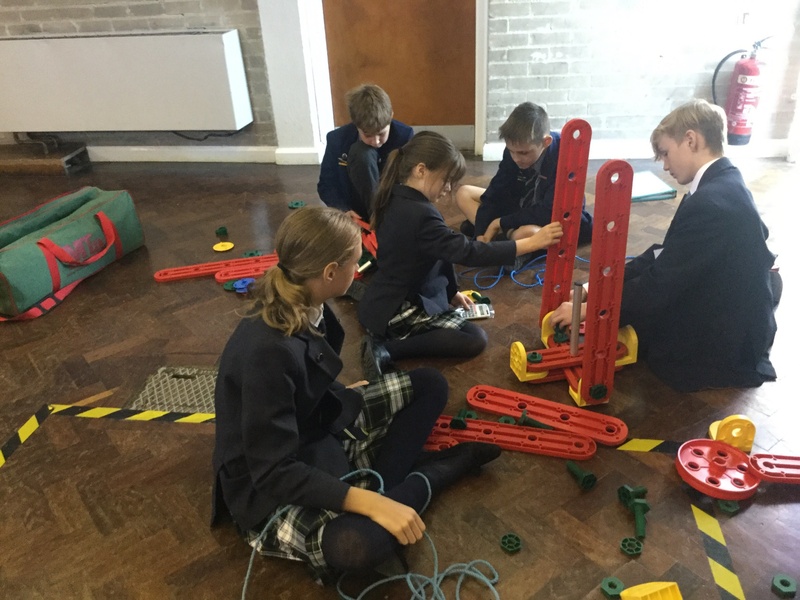 After breakfast, Y6 pupils experienced a morning of STEM (disciplines of science, technology, engineering and mathematics) activities at the College. 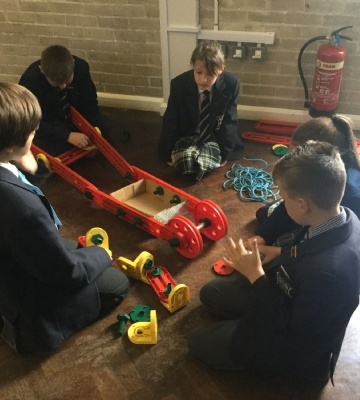 There were three design and construction tasks that were set to challenge pupils and encourage them to communicate their ideas effectively as a team. 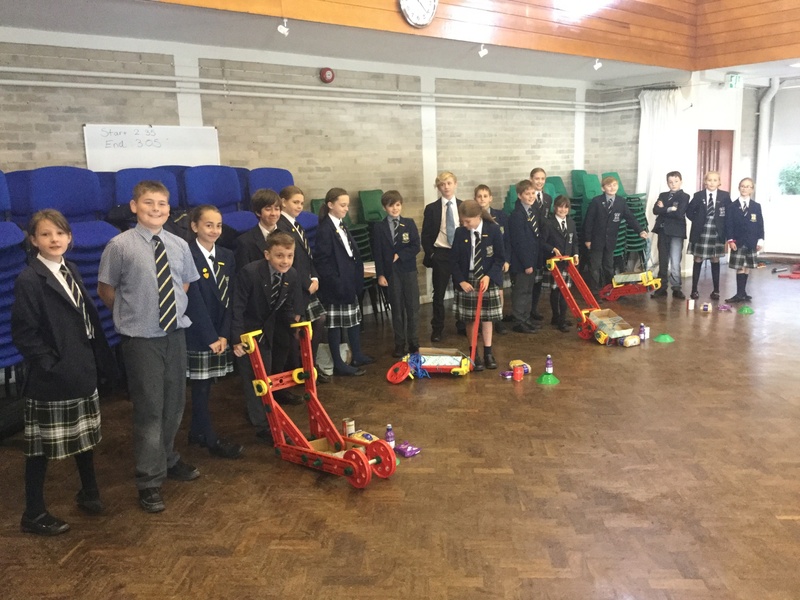 They were also able to develop their problem-solving techniques and build resilience by using trial and error. 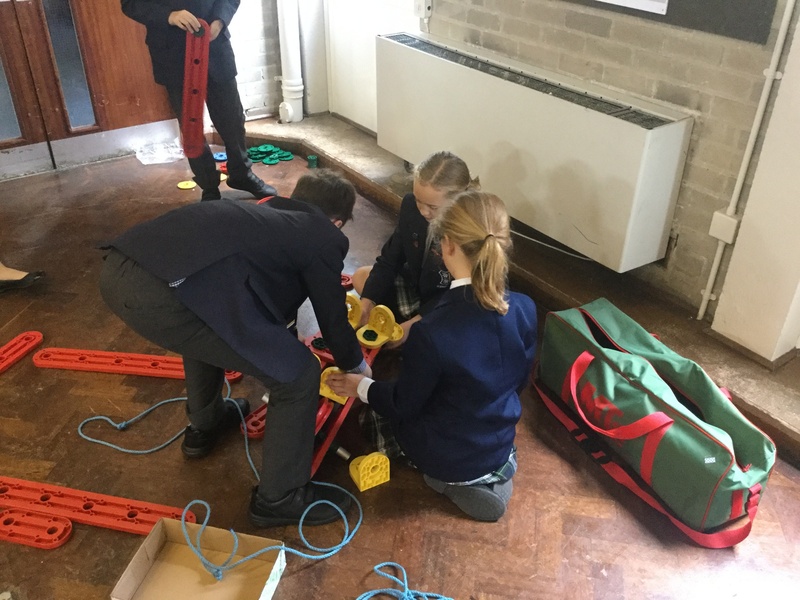 Pupils had to work in teams of four to design a wheelbarrow to transport their food supplies along an obstacle course, in a race to the campsite kitchen! 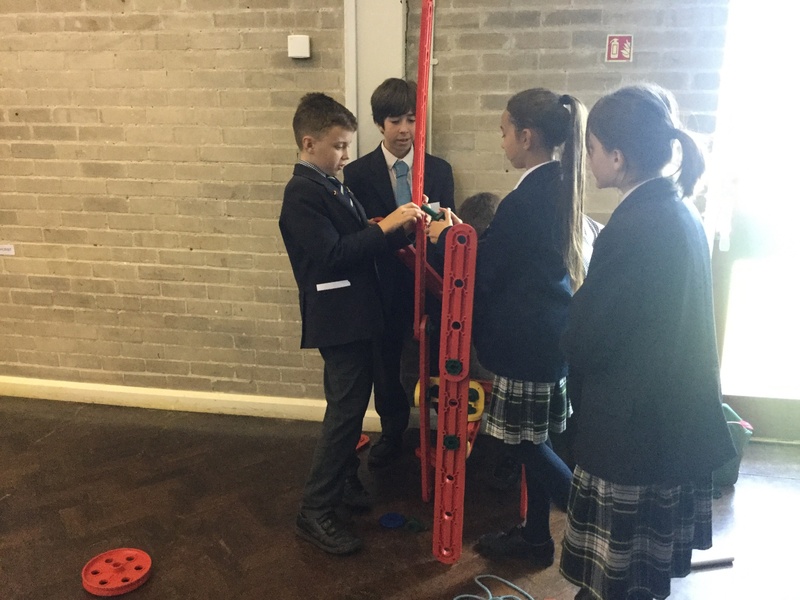 Again working in groups of four, the pupils had to solve the problem of poor mobile phone reception at their campsite by building a free standing tower that they could use to winch their phone as high as possible. 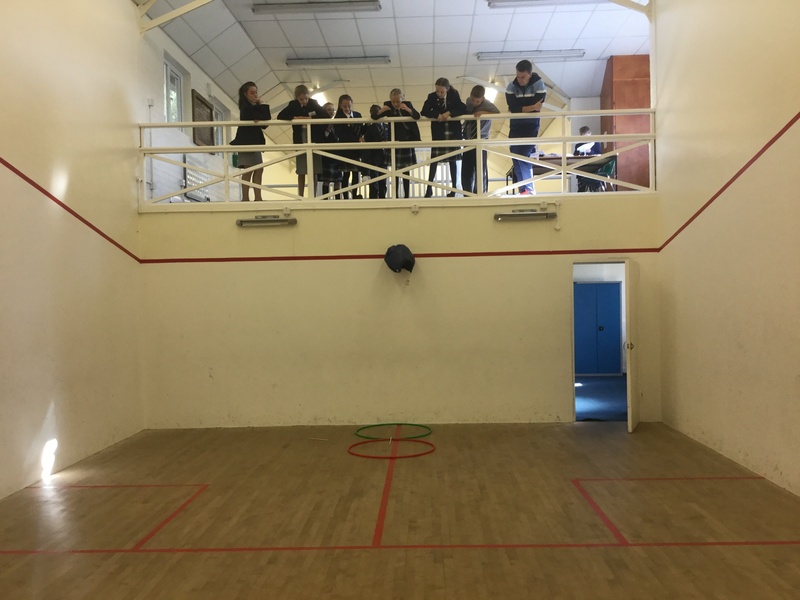 This time working in pairs, the pupils had two design challenges, the first was a parachute to safety land a small Lego vehicle (which they had to first assemble) into a target drop zone. The second was a glider to transport a secret-spy-type-person who was cunningly disguised as a Lego mini figure, across a shark infested swamp! The final activity of the morning was the Subject Quiz Trail during which, our Year 9 students took small groups of pupils on a tour of the school visiting 15 different subject departments. At each department they were asked a general knowledge question linked to that subject. If they were correct, they were given clue cards to a mystery phrase! Our Year 5 students began their morning with a brief history of Worksop College, followed by a tour of the school, including The Great Hall and Portland House. After break, our Year 5 students headed over the Design and Technology to look at students’ previous collections of work. Pupils were also shown how to (safely!) melt then mould a special plastic using the oven to make their very own keyring as a keepsake. After that, students headed over to Art, Music and the School Shop – before heading back to the Great Hall for lunch.